Explore the epitome of contemporary comfort with our fabulous modern style of the Toga Rope Aluminum Relaxing Chair. Curated by people who love designer luxury, epic comfort and amazing materials, the Toga Relaxing Chair is an example of glorious outdoor furniture. 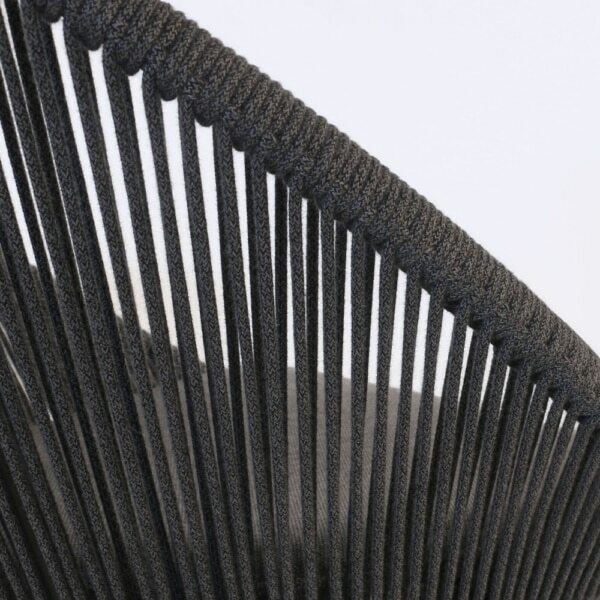 This stunning style features a curved back, sleigh base, and deep, low seat, replicating mid century modern style, the Toga Rope Relaxing Chair is brought into the 21st century with the incredible, high performance materials and fashion forward approach to minimalism. 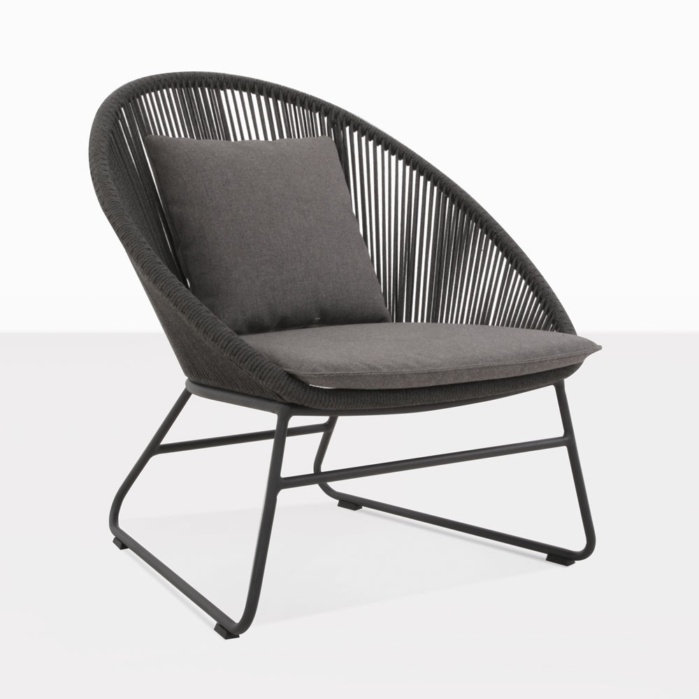 Wrapped with vertical lengths of rope, and finished off with a Sunbrella® cushion, this relaxing chair will keep you in comfort for hours on end. The Toga Aluminum Rope Relaxing Chair is perfect for many different settings. Imagine your high rise apartment balcony adorned with two of these gorgeous chairs – place a side table in between and get ready for hours of relaxation in the comfort of your own home. 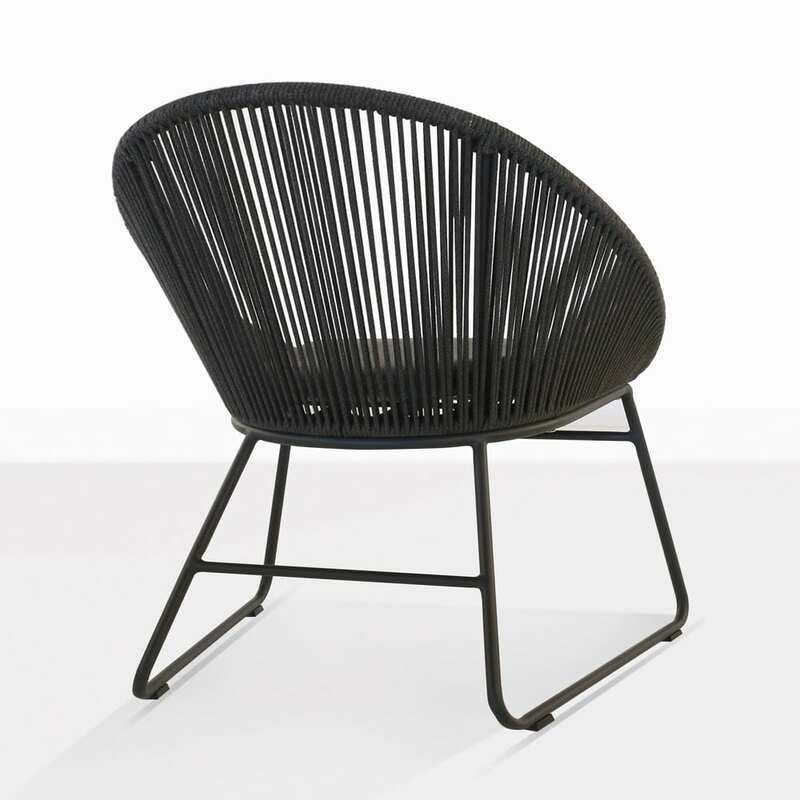 Perhaps you have a poolside area that needs a comfortable chair or two to really unwind in. Prop up an umbrella and situate two or three of these glorious chairs in the shade, with a wee table and a couple of pina coladas and you’re set for relaxing all day long in style and luxury. 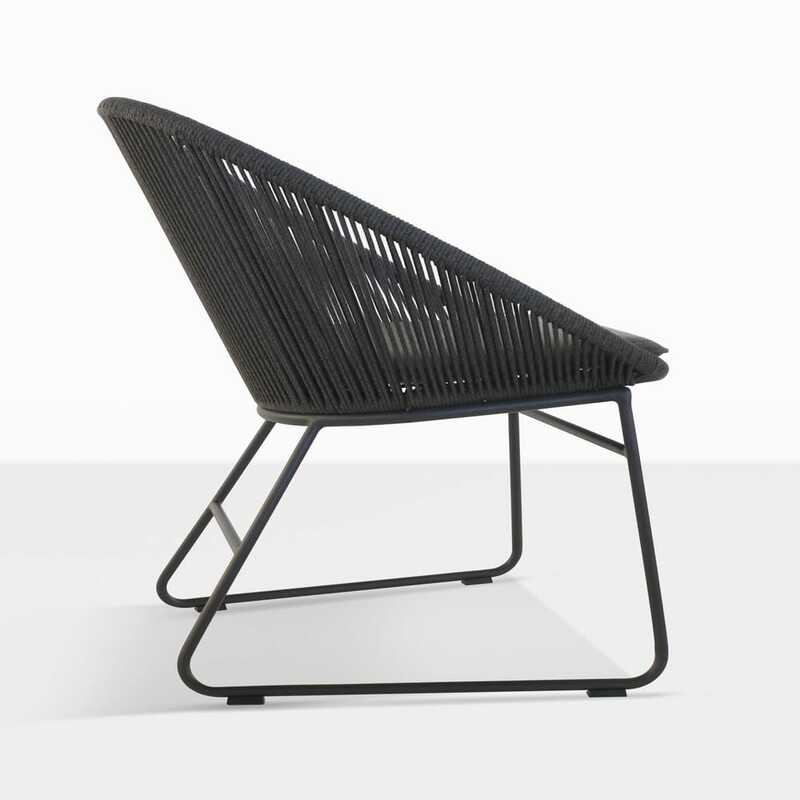 The Toga Outdoor Relaxing Chair is also available in a dining chair style, which means you can create a cohesive and glorious setting in your garden space! Constructed out of the finest all weather fabrics and materials, the Toga Relaxing Chair is long lasting, hard wearing and oh so comfortable! Teak Warehouse is proud to bring you an incredible array of outdoor furniture that looks and feels like it was made for luxuriating in! We are proud of the extraordinary quality of our relaxing furniture, deep seating, dining, shading and accessories – all built to give you comfort and prestige in your home. Call us today to order your Toga Relaxing Chair and get ready for the indulgence you deserve!